Find the best price forBugs on the Go! 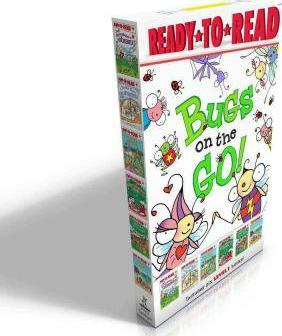 Join David A. Carterâ€™s bestselling Bugs for some buggy adventures with the first six Level 1 Ready-to-Readsâ€”now available in one buzz-worthy boxed set! Beginning readers will love reading about Bitsy Bee and Busy Bug as they welcome springtime to Bugland, play in the snow, go to school for the first time, celebrate Christmas, build a fort together, and visit the beach! This sweet and silly boxed set includes Springtime in Bugland; A Snowy Day in Bugland; Bitsy Bee Goes to School; Merry Christmas, Bugs! ; Busy Bug Builds a Fort; and Bugs at the Beach. Compare New Book Prices for Bugs on the Go!